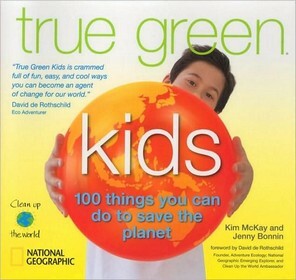 One of the most motivational ways to show children the importance of saving our planet is through pictures and stories. 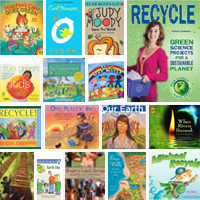 This reading list tackles stories of recycling, water conservation, how to help keep our planet clean and how to participate in Earth Day. 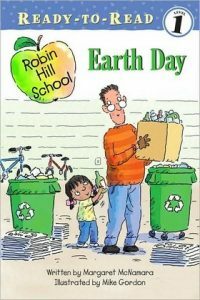 Presents a history of Earth Day, highlighting the people, events, and legislation responsible for changing attitudes about ecology. When Mrs. Connor’s class celebrates Earth Day, Emma decides to start small by recycling, using only what she needs, and picking up trash when she goes for a walk. 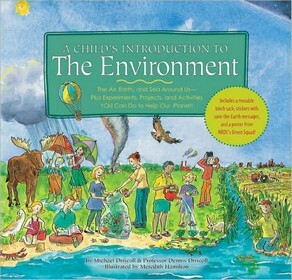 A Child’s Introduction to the Environment: the air, earth, and sea around us, plus experiments, projects, and activities you can do to help our planet! 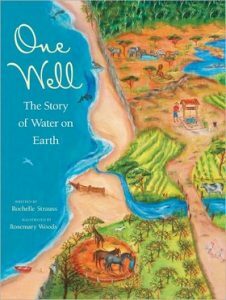 Discusses a variety of environmental sciences topics, including global warming, food chains, and desertification, along with a collection of experiments and conservation activities. 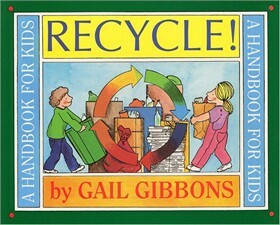 Join the fun on this interactive journey while learning to clean the air, reduce pollution, recycle, and more. 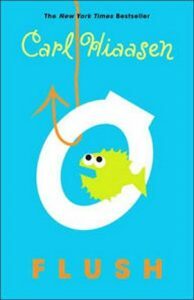 Nine double-sided puzzle pieces are included in this book so kids can create two different puzzles! 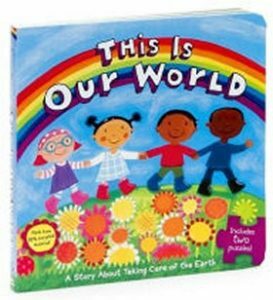 Invites children and their parents, teachers, and community to embark on an eco-adventure through a series of fun ideas that can be applied everywhere from the living room to the local park. 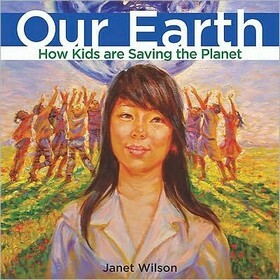 Profiles twelve children who have had an impact on the environment, from a Canadian girl who gave a major speech to a Malawian boy who brought electricity to his village and a Chinese boy who works to keep endangered animals from the market. 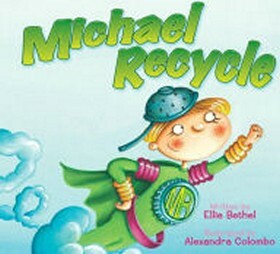 Michael Recycle, the green-caped crusader, visits the town of Abberdoo-Rimey and proves to the residents that recycling can actually be fun. 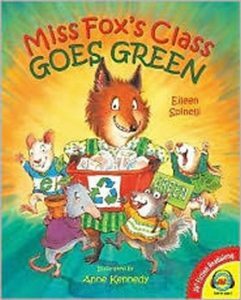 The students in Miss Fox’s class lead their school in making choices to help keep the planet healthy, such as turning off lights when leaving a room, taking shorter showers, and using cloth bags instead of plastic ones. 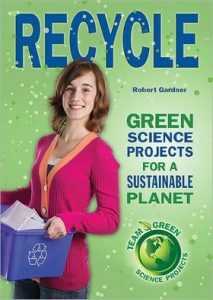 Provides environmentally friendly ‘green’ science projects about recycling. 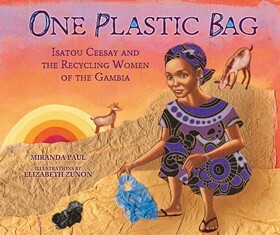 This dramatized story of Isatou Ceesay, a woman who initiated a recycling campaign in her hometown of Njau, Gambia. As a young girl, Isatou did what all the other people in her village did: she used plastic bags, discarded them on the ground when they tore, and got new ones. It was only when Isatou began to grow older that she saw the damage that was caused by the discarded bags: sickened and dying livestock, crops that could not grow in trash-filled soil, the horrible smell of burning plastic bags in trash heaps, and an increase in malaria and other diseases as mosquitos were drawn to the bags full of rain water. Isatou, however, found a way to recycle the plastic bags and create new ways for the women of Njau to make money and prosper. 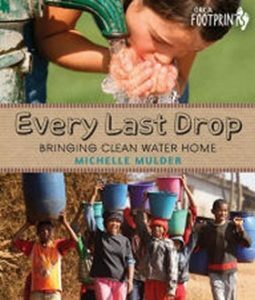 Looks at why the world’s water resources are at risk and how communities around the world are finding innovative ways to quench their thirst and water their crops. 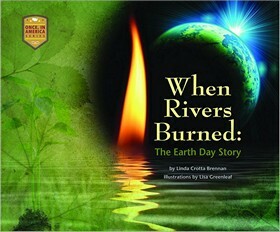 In this attractive picture book, featuring colorful, full-page illustrations, the author tells the story of water: what role it plays for plants, animals, and the environment; how much of it is necessary for survival; what the consequences are of polluting the water; and what humans can do to reverse the negative impact that we have had on the Earth’s water. 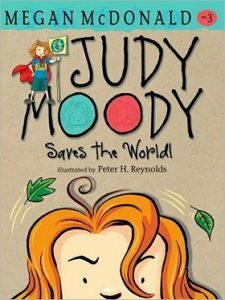 When Judy Moody gets serious about protecting the environment, her little brother Stink thinks she is overdoing it, but she manages to inspire her third-grade class to undertake an award-winning, environment-saving project. 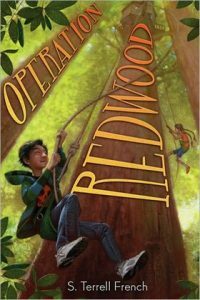 In northern California, Julian Carter-Li and his friends fight to save a grove of redwoods from an investment company that plans to cut them down.